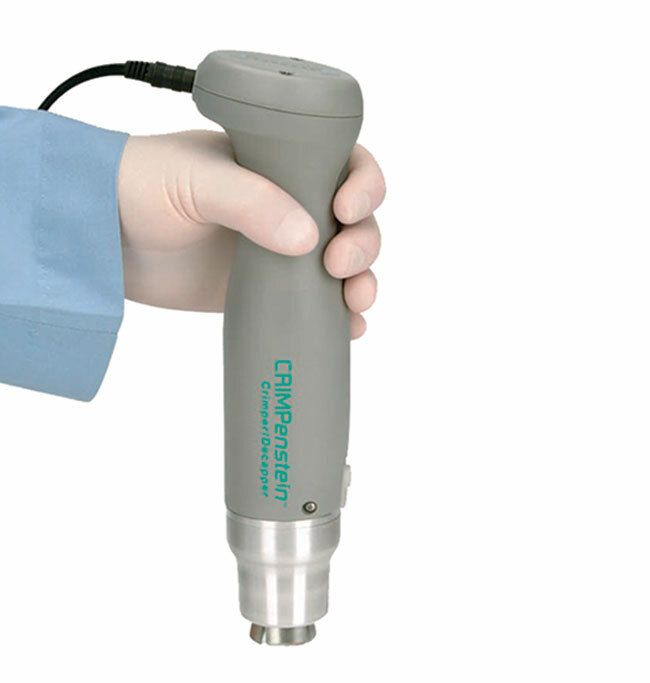 Enables handheld semi- automatic operation for extended periods with less effort. Quick change jaw-sets also available in 8 mm, 11 mm, 13 mm, and 20 mm sizes (sold separately). 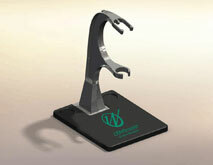 Stand for Crimpenstein Crimpers/Decappers, works with all sizes (sold separately). Electrify your crimping and decapping operations with the new innovative Wheaton Crimpenstein Automatic Crimpers and Decappers. Engineered to improve productivity and efficiency in a variety of laboratories performing chromatography, QC testing, lyophilization, vaccine development or any other applications where vials are capped with aluminum seals. 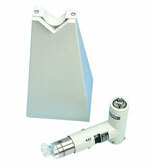 This AC powered crimper/decapper provides fast, consistent results with a simple push of a button. Jaw action intensity can be adjusted as needed. The ability to change jaw-sets offers an unmatched level of flexibility and economy for applications where various sizes of aluminum seals are required. 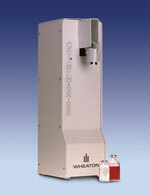 A sturdy stand is available which will hold the Crimpenstein in a fixed vertical position for operations where vials need to be handled one at a time.